Set of surgical instruments dating from around 1850, England. Surgery in this era, pre-antiseptis and anaesthesia was high risk with low patient survival rates. However it went through considerable advances during the nineteenth century. 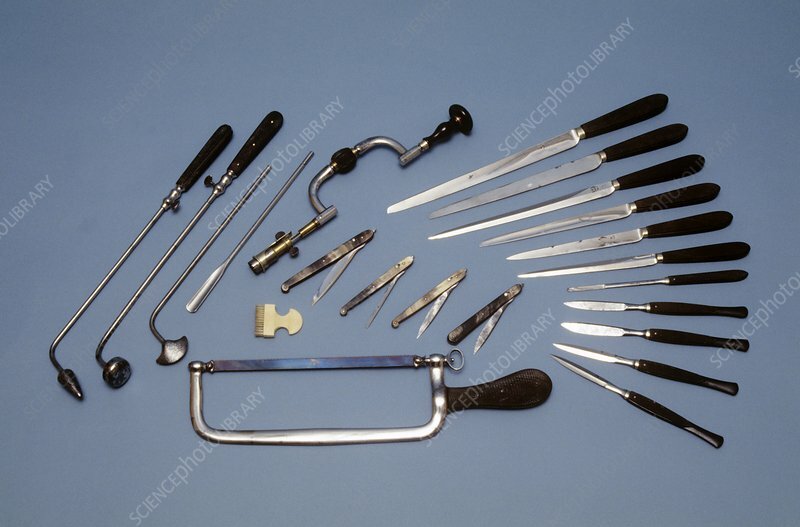 This set is complete with three cauteries (for reducing bleeding, using heat), scalpels (for small incisions), a trepanning brace (for creating holes in the skull), and bistouries (for incising cavities).